The government of Turkey went to great lengths Monday to insist that it is not taking sides in the Syrian civil war, instead occupying the northern Syrian region of Afrin to neutralize the effectiveness of the Syrian Kurdish People’s Protection Units (YPG/YPJ), which Ankara considers a terrorist group. 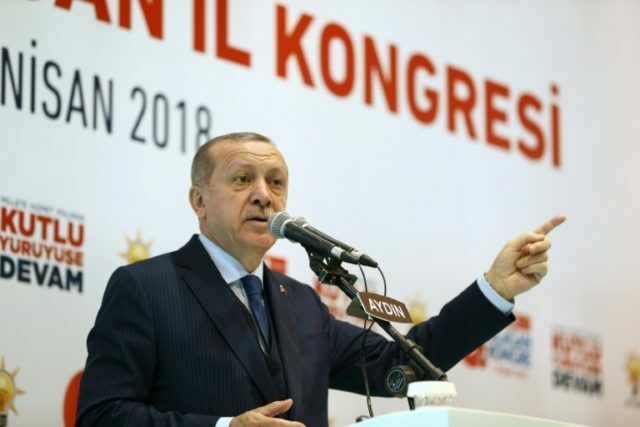 Turkish President Recep Tayyip Erdogan long ago took sides against Syrian dictator Bashar al-Assad, however, denouncing him as a “tyrant” and “terrorist” and vowing to play a role in his demise. Another Deputy Prime Minister, Bekir Bozdag, clarified to reporters during a visit to Qatar on Monday that Turkey does not see itself as taking sides in the core dispute of the Syrian civil war, which is the struggle between Assad and Sunni rebel groups. Turkey sent troops into Syria in January for “Operation Olive Branch,” its code name for the attack on the YPG. It has since occupied Afrin and threatened nearby Manbij, where U.S. troops are stationed helping train the YPG. The YPG is the U.S. government’s most reliable ally in Syria and played a major role in the eradication of the Islamic State (ISIS) from its strongholds in the country, most notable former ISIS “capital” Raqqa. The YPG are allied with the Kurdistan Workers’ Party (PKK), a Marxist, U.S.-designated terrorist organization. Turkey does not recognize the YPG as a separate group from the PKK. Yet before Operation Olive Branch, Erdogan insisted that the only reason he would send troops into Syria is to overthrow Assad. Erdogan has repeatedly called Assad a terrorist since that speech; Assad has reciprocated by calling Erdogan a terrorist. On Monday, Erdogan appeared to suggest the West should conduct more operations against Assad. His remarks followed the insistence of others in his administration that Turkey is not taking sides either with or against Assad, and that suggestions Turkey’s relationship with the Russian government had faltered because of Moscow’s support for Assad were false. On Sunday night, French President Emmanuel Macron made this very claim. “With these strikes and this intervention, we separated the Russians and the Turks on this issue … the Turks condemned the chemical strike and supported the operation that we conducted,” Macron said in an interview with BFM TV. Çavuşoğlu made the remarks during a press conference with NATO Secretary General Jens Stoltenberg, in Ankara for talks on Turkey’s role in the coalition. Çavuşoğlu reportedly demanded that NATO play a greater role in Syria, in particular fighting Kurdish militias near the Turkish border. “We expect [NATO] to meet our expectations regarding the issue of air defense,” Çavuşoğlu insisted, Hurriyet reported, citing an unnamed source who said he specifically referred to the Syrian border as a problem. A coalition of America, British, and French forces executed limited airstrikes of Assad research and storage facilities in Damascus early Saturday morning local time. American officials have insisted the strikes were in retaliation to a chemical weapons attack in the Damascus suburb of Douma, which all three powers blamed on the Assad regime, and that they would be limited in scope unless Assad once again used chemical weapons on civilians.